Wet or Dry; It’s Sure to be Fun! 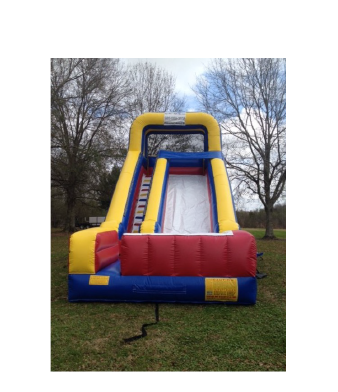 Our giant 18ft Single Shot waterslide is super fast! There’s only one way up and one extra wide slippery sliding lane to get you all the way down to the splash pool. This slide is sure to be a hit for everyone! 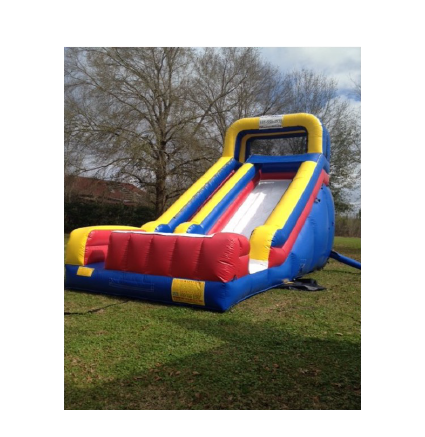 THIS SLIDE MAY ALSO BE USED AS A DRY SLIDE! 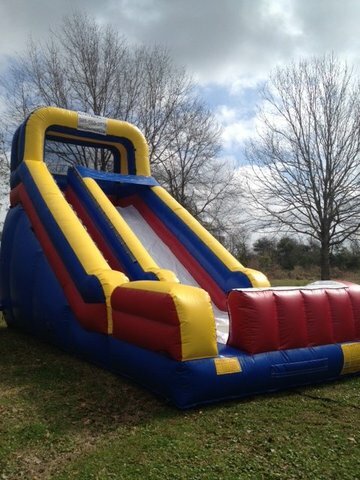 Rent this slide (30x15x18) for your next event for only $225.00 a day.